Published bi-monthly, DiversityPlus’ core focus is on innovative trends and issues in Supplier Diversity and Thought Leadership best practices that’s driving the most successful supplier programs today. 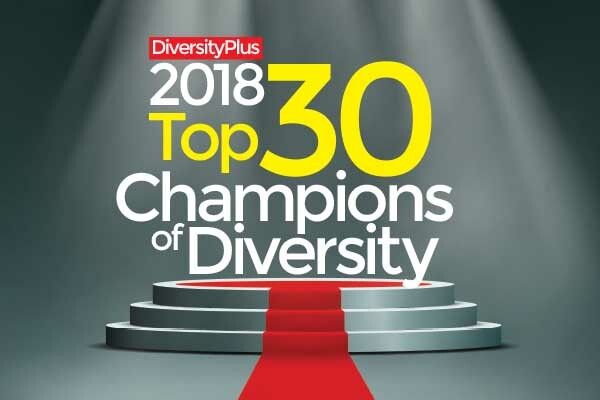 Thanks to its strong media platform, which includes the print edition, digital magazine, website, weekly newsletter, social media, and blogs, DiversityPlus Magazine is able to provide over 137,000 readers in the United States, European Union, Canada, Australia, South Africa, India, China, Brazil and the United Kingdom with access to leading-edge supplier diversity content, webinars, and events. What you’ll read in the pages of DiversityPlus Magazine represents the most current and impactful thinking about diverse supplier relationships. In addition, with over 22 years in print, our research, interviews, and feature articles showcase a depth of industry relationships unmatched by any other supplier diversity publication. As a result, we have the power to put a meaningful spotlight on corporate supplier programs and specific diversity initiatives, helping educate target populations and celebrate successful programs and partnerships. And, for suppliers, a feature in our pages can possibly attract significant interest, leading to new contracts and sales revenues in the tens of millions. Reading DiversityPlus – whether you’re a supplier, supply chain, sourcing or procurement manager, or part of a corporate diversity team – you’ll feel like you have an inside partner giving you the right ideas, at the right time, to make smart decisions around the critical diversity issues facing your business now. Please click on any of the below links if you want to Subscribe, Advertise or Contact us.